Tic is a female chocolate lab cross. Hello – I am Tic. I am a Nine week old Female from YARN’s Tic Tac Toe Litter. 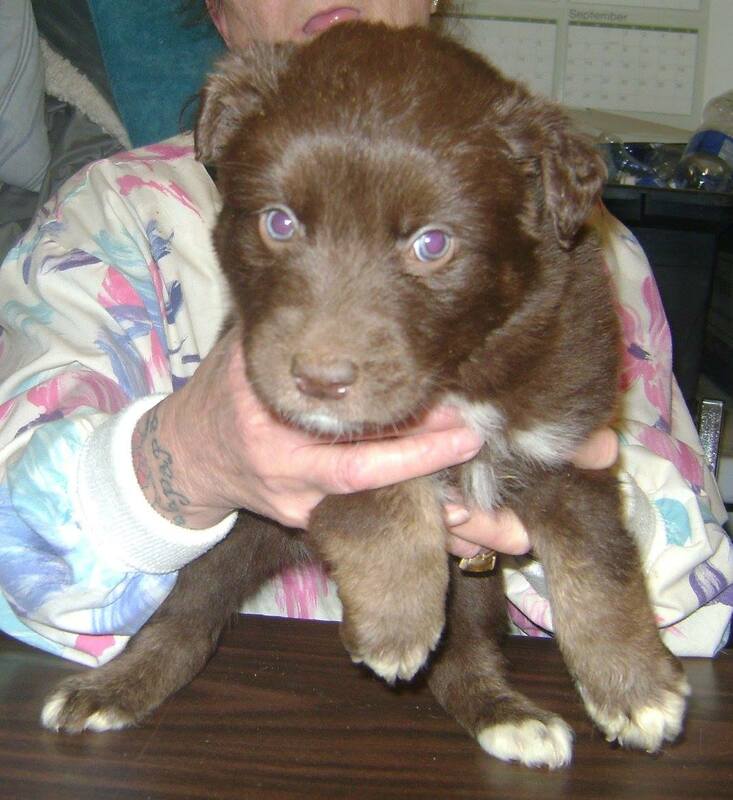 I am a chocolate colored Lab Cross with Blue Eyes, who will be a large size adult dog. I’ve had my first Parvo/Distemper Vaccine and Deworming and now I’m ready to go to my fur-ever home. I am still in Watson Lake… But we are hoping to catch a ride to Whitehorse this week, so folks can meet us. To adopt Tic, please submit an adoption application.